After clicking it a pop up window will give you the drop down with the options: Book Now, Contact Us, Use App, Play Game, Shop Now, Sign Up and Watch Video. 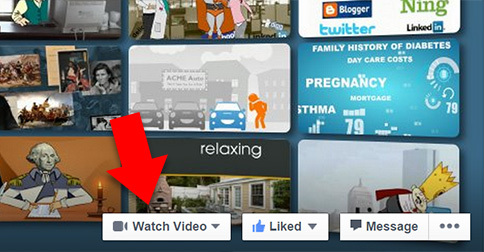 After selecting the Watch Video option you just need to enter the URL of where the video is in the “Website” field. You also have the option to specify an optional “Mobile Website” but hopefully your landing page already has a responsive layout so you can skip this step. Otherwise you’ll want to direct them to where the video can optionally be viewed on a mobile device. Then just click “Next”. 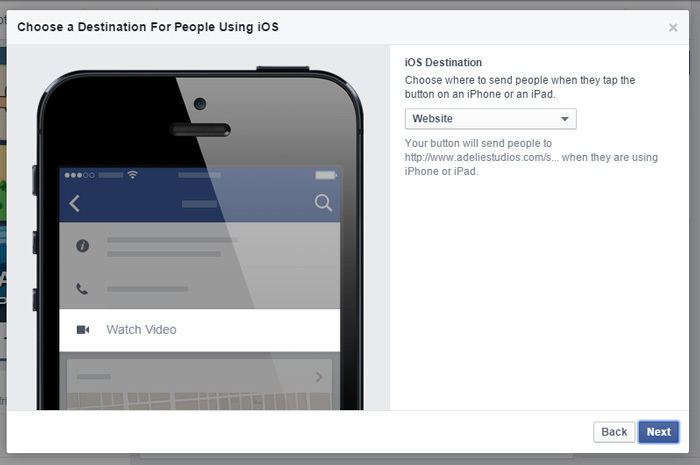 Confirm where you want viewers to go if they are on an iOS device. Again, we’ll assume it will be “website”. Then you can go ahead and click “Next”. This should mostly likely also be “website” similar to the previous iOS page, unless you are crazy. Go ahead and click “Create”. And that’s it! While most Facebook users rarely ever visit a page, this is a great opportunity to use the call to action feature to give new visitors who do visit your page a very brief and simple explanation of who you are and what your page is all about. 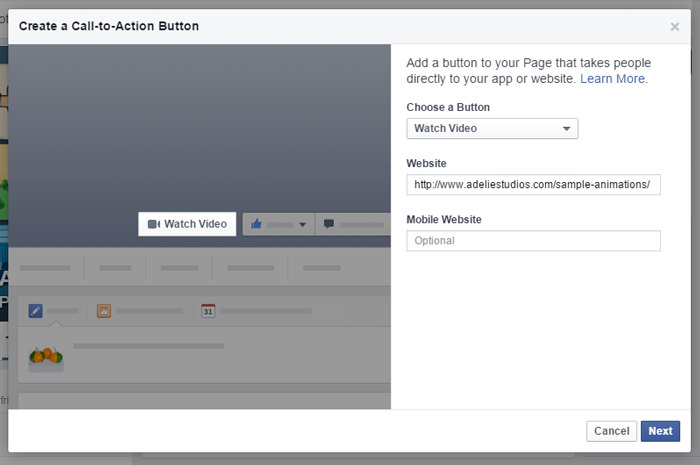 You could use a Facebook native upload for the video, but I think this is a great opportunity to get the viewer to watch the video on your website where you can control the user experience far better and can prompt them with simple next steps they may want to take as a first time visitor. 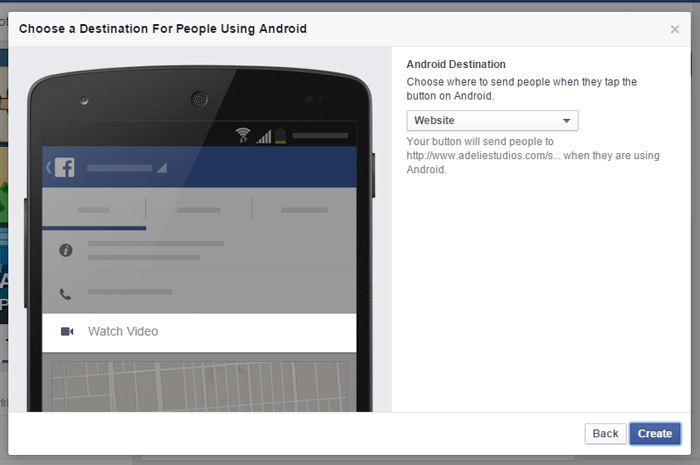 So are you using the Facebook call to action feature on your brand page?